What chocolate lover wouldn’t be thrilled with rich, decadent truffles for Valentine’s Day? 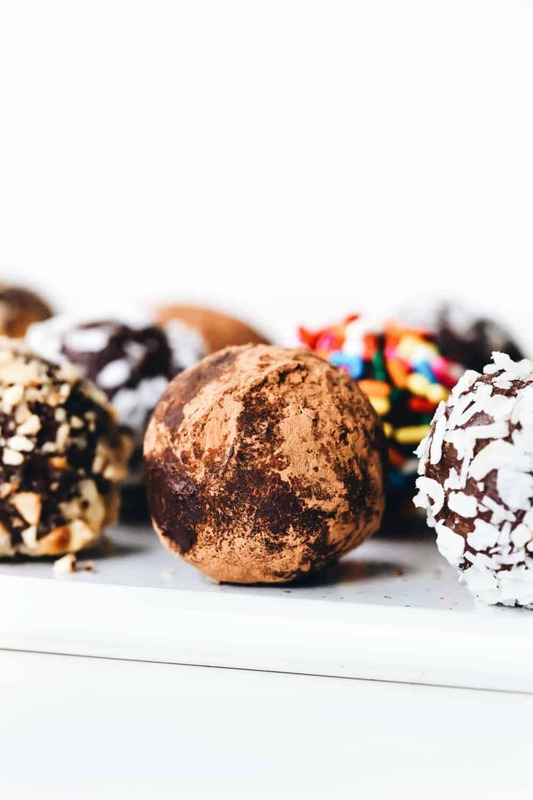 Instead of heading to the nearest chocolate shop, pick up a few items from the market and make these simple homemade truffles with your own two hands! There is something really special about being able to create a delicious and meaningful Valentine’s Day gift for your sweetie. Plus, it’s a great way to show how much you care without breaking the bank! 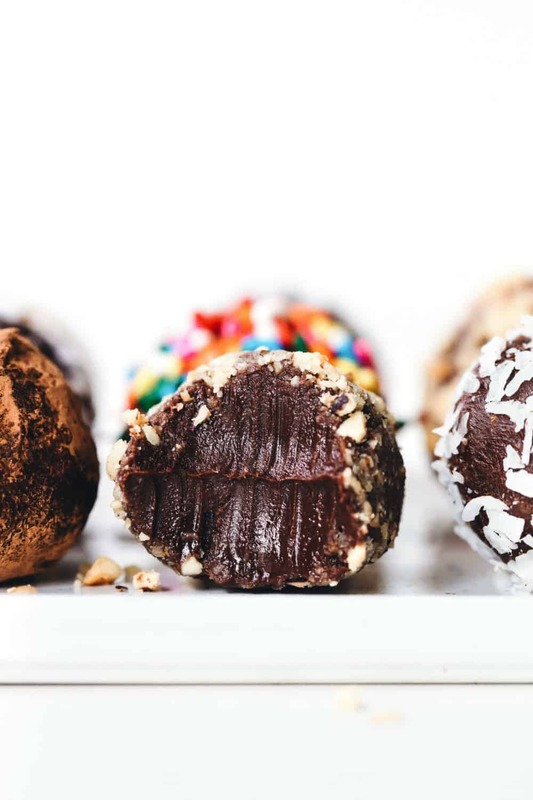 Homemade truffles may seem a little intimidating; after all, they are sold in high-end chocolate boutiques for some serious cash. However, making homemade truffles yourself is simple and actually quite fun. Unless of course you don’t like getting your hands dirty, and by “dirty” I mean full of chocolate. Nervous yet? 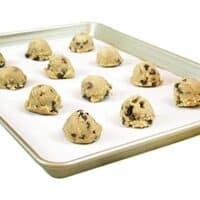 No worries, I am going to walk you through the process and provide you with an easy truffle recipe that’s so simple, even the Worst Cook in America could make them with rocking results. Your Valentine will be so surprised this year to open up a box of homemade truffles! A chocolate truffle is basically ganache that is firmed up in the refrigerator, formed into balls and rolled in cocoa powder. No idea what ganache is? In its basic form, ganache is simply a mixture of chocolate and cream. We have made ganache for many recipes in the past, including Banana Bundt Cake with Chocolate Ganache, Chocolate Peppermint Mini Bundt Cakes, and Chocolate Zucchini Cake. In this post, I will be referring to the truffle mixture as ganache. 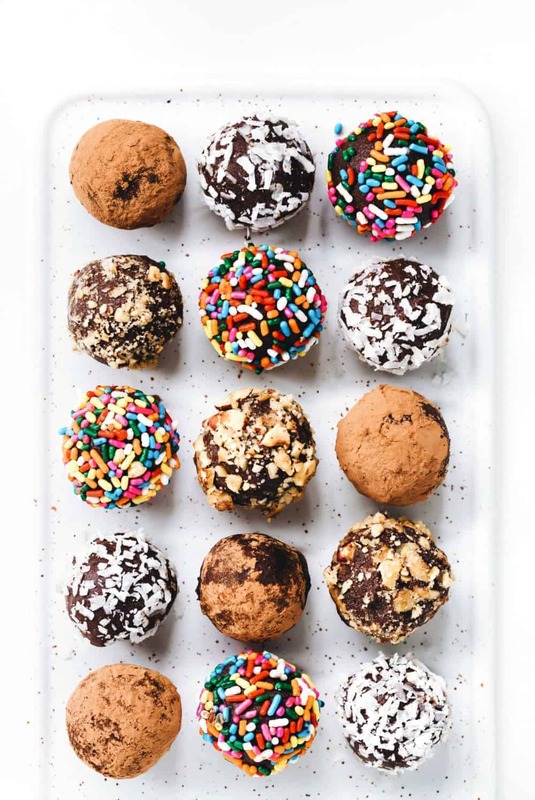 WHAT DO YOU NEED TO MAKE HOMEMADE TRUFFLES? To make my easy truffle recipe, you will need just a few simple ingredients and tools. 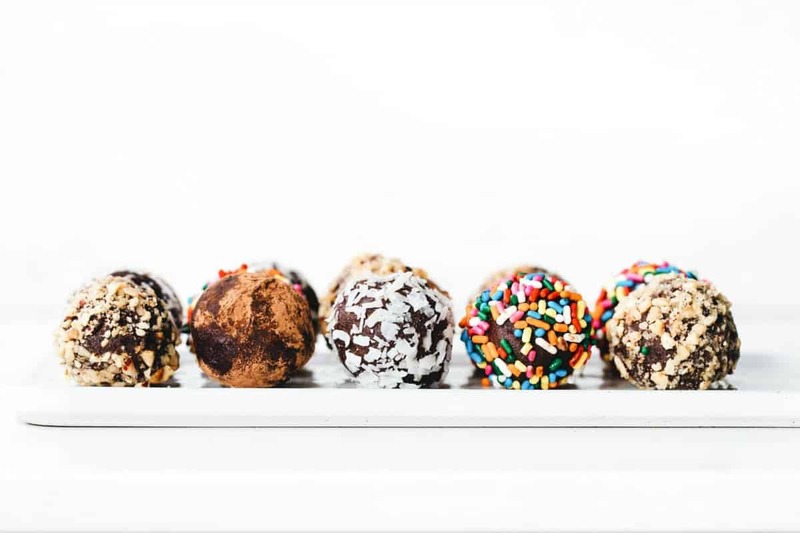 Ingredients needed to make homemade truffles include high quality chocolate (such as Scharffen Berger or Guittard), cream, butter, and any optional flavorings. We’ll talk about flavorings in a moment. 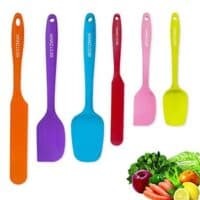 Tools you’ll need include a small scoop (about two teaspoons or a melon baller), a shallow casserole dish, plastic wrap, miniature foil or paper liners (optional), and a double boiler. Don’t have a double boiler? Simply place a heat-safe bowl over a pan of barely simmering water, making sure the bowl is NOT touching the water. Voila! You now have a double boiler! My easy truffle recipe is so simple to make, you won’t believe you didn’t try making homemade truffles sooner. Start by making the ganache. 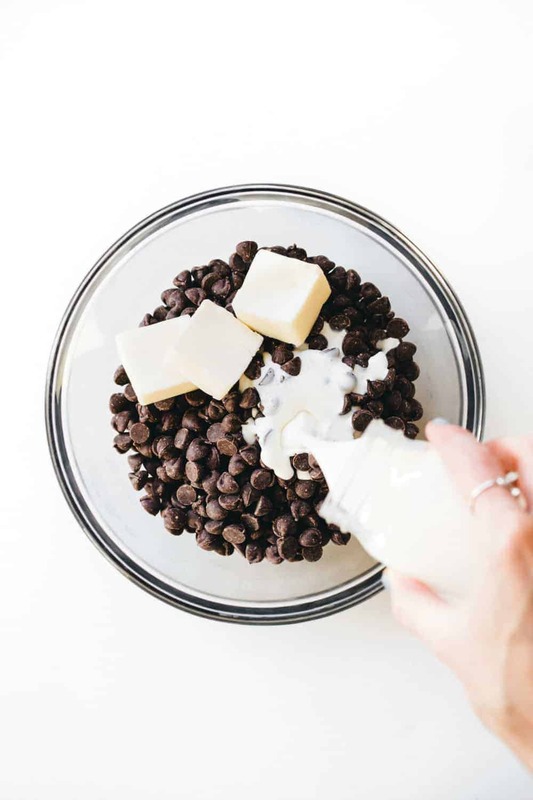 Melt the chocolate, butter and cream in your double boiler, then remove from the heat and add in your desired flavorings. From here, allow the ganache to cool until it is solid enough to scoop out with the melon baller and roll into balls. 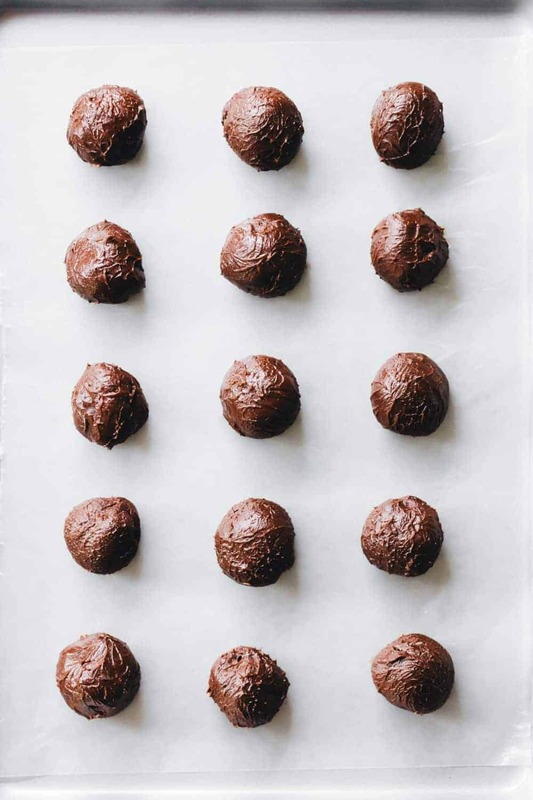 Dip or roll the ganache balls in your desired coating to finish your easy truffles. You can infuse your homemade truffles with a variety of ingredients like espresso, and spirits such as liqueurs. The key is letting your ganache sit at room temperature for about a half hour before stirring in any type of alcohol. You want to maintain that boozy goodness, not burn it off. 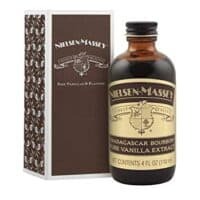 Some liqueurs that work well in homemade truffles are Grand Marnier for an orange flavor, Fraise des Bois or Chambord for raspberry flavor, or Kahlua. But, truly you can use whatever type of alcohol that floats your boat, even beer! Once you have rolled your truffles, you can finish them in a variety of ways. I love to simply roll them in cocoa powder. If I use bittersweet chocolate, I’ll roll the truffles in sweetened cocoa powder. You can also roll them in nuts, sprinkles, cookie crumbs or dip them in tempered chocolate. Admittedly, covering truffles in chocolate can be pretty messy. Luckily for you, I’ve tried out a few different methods to figure out the best way to dip truffles in chocolate! If you want to finish off your easy truffle recipe with tempered chocolate, place the ganache balls on a fork. 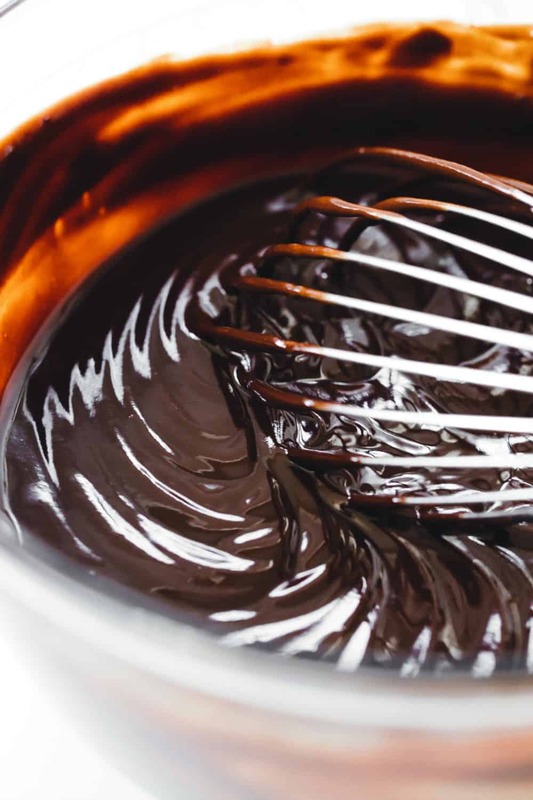 Then use a spoon to pour the tempered chocolate over the ganache and let the excess drip off before placing the truffles back on the parchment paper. 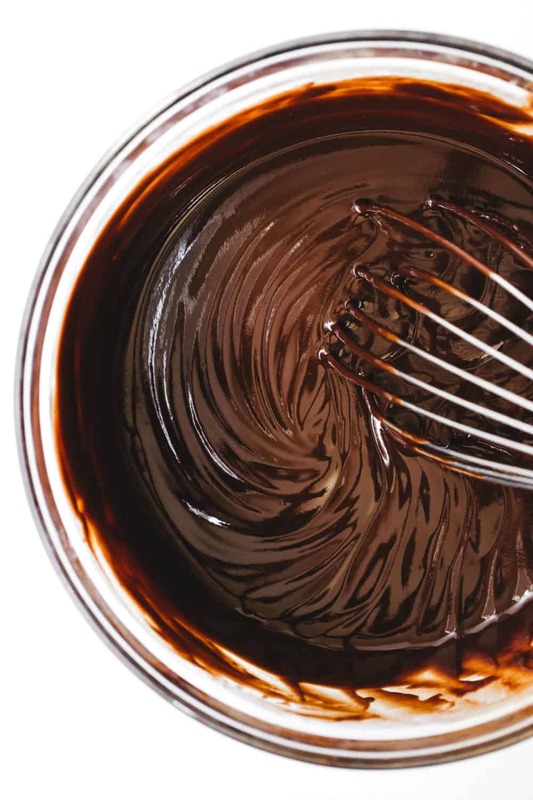 Broken Ganache: If your ganache breaks, you’ll know right away, it will look curdled due to the fat and liquid separating. Don’t toss it! Simply heat a couple tablespoons more cream and stir it in little by little until the ganache comes back together. 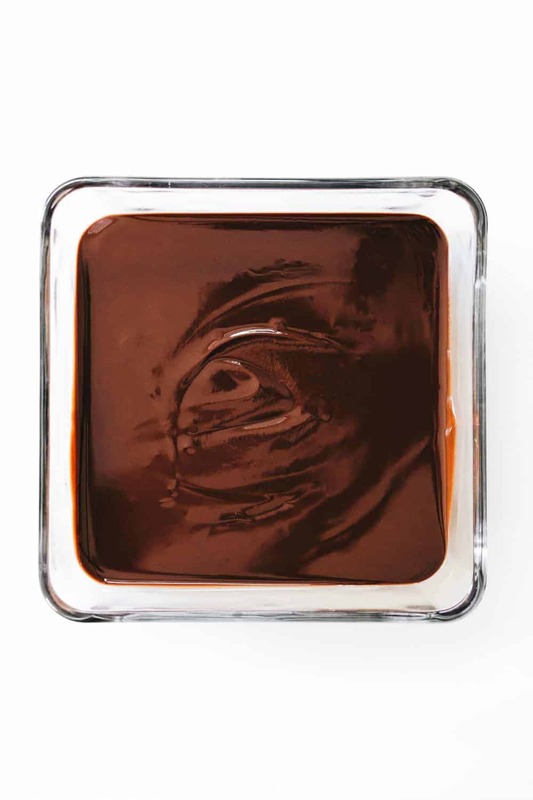 Hard Ganache: If you refrigerated your ganache for too long, it will become too hard to scoop. Simply set it out at room temperature until it becomes pliable enough to work with. Infusions: If you are infusing truffles with spirits of any sort, be sure to let the chocolate cool enough so the heat does not burn off the alcohol. 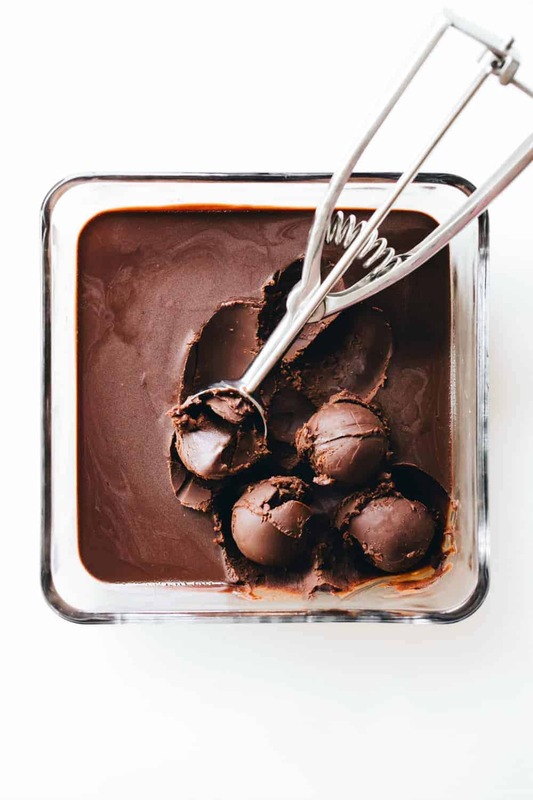 A good measure of readiness is to place a small dab of chocolate on your lips; if it’s warm and not hot, the truffle mixture is ready to be infused. LOOKING FOR MORE HOMEMADE TRUFFLE INSPIRATION? I have changed up my easy truffle recipe in a lot of ways over the years. 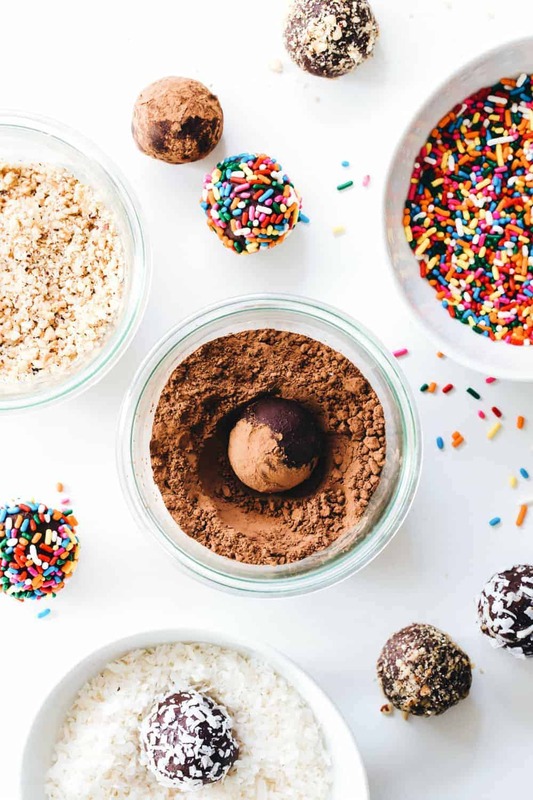 Make sure to check out my Dark Chocolate Toffee Truffles, Nutella Truffles, S’mores Truffles, Peppermint Truffles from Food for My Family, or Chocolate Frangelico Truffles from Bakers Royale. In a double boiler over barely simmering water, combine chocolate, butter and heavy cream. Heat until chocolate is melted. Stir until you have a smooth mixture. Pour into a shallow casserole dish and cool to room temperature. Cover with plastic wrap and refrigerate for about 2 hours. If you refrigerate longer than two hours, the mixture will be too hard to work with. If this occurs, allow the mixture to sit at room temperature until they are pliable enough to work with. If you are infusing truffles with spirits of any sort be sure to let the chocolate cool enough, so the heat does not burn off the alcohol. A good measure of readiness is to place a small dab of chocolate on your lips, if it’s warm and not hot the truffle mixture is ready to be infused. Line a baking sheet with parchment paper. Using a small scoop (2 teaspoons) or a melon baller, scoop out chocolate mixture, roll into one inch balls, and place on prepared baking sheet. Continue with remaining chocolate mixture. Roll balls in your desired coating, I typically use high quality sweetened cocoa powder such as Scharffen Berger. Great post! A friend of mine gave me the recipes for the truffles we sell at our gourmet cheese shop inside the grocery store where I work. I couldn’t believe how simple they are, and how much we charge for them ($15.99/lb). Love all of these basic tips! Truffles are so much fun to make! How cute and so perfect for Valentine’s Day! Yum! It’s fixed now, it got cut off when I cut and pasted from the word document. I ♥ truffles and these look so cute! What an informative post with some beautiful looking truffles! I love to make truffles, it gives me an excuse to eat ganache straight from the bowl! I like the idea of adding Chambord to the ganache, I’ll try that next time. Thanks for breaking this down for us! I am scared to make truffles for some reason, and now I feel a lot better about it! Jamie, this is a fantastic post. You’ve broken it down into simple, non-intimidating steps, with great troubleshooting ideas. I’ve never made truffles before, but I totally know that I can do it now. These look so tasty. Sometimes the basic is best. Just returned from the market so I’m stocked up on all the essentials for Valentine’s weekend baking – and here’s your post, yum! I am a huge truffle lover but have been afraid that I couldn’t make my own, I think I will try this recipe, as always so appreciative of your inspiration! GORGEOUS! Great tips and with great instructions! I have never made truffles but I love to eat them. Thanks for the tips! Great tips!! There is a ton of fantastic information on this post alone… would you be willing to do more?? As a self proclaimed bad cook, I can use all the help I can get, and your explanations and wording is so easy to read and comprehend! WOW these look and sound AMAZING!! love the trouble shooting tips too!! LOVE LOVE LOVE the tips!! I have never made truffles (been a bit intimidated, actually) so this is extremely helpful. Such a great instruction post. We love these especially this time of year! These are beautiful! And all the tips and steps you gave are great, thanks! I’d love for you to submit this to the M&T Spotlight at http://www.makeandtakes.com/spotlight. Chocolate Truffles are one of my biggest indulgences…love, love, love them! Love your photos! 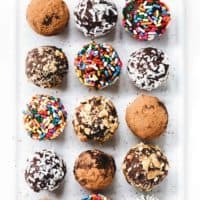 Can you post something on how to make flavored truffles? Not just the Tiramisu ones there, but there are these Raspberry Truffles that I just LOVE! I’m going to try to make this recipe over the holiday weekend, I would love to surprise my sister with a home made batch!!!! Wish me luck! Thank you so much for the tip on adding heated cream to “fix” breakage!! I am helping my future sister in law plan her wedding. Right now, we’re working on the wedding favors. Kelly is giving the reception guests a single truffle. These will make the perfect gift! I did a test run and these were easy to make and delicious! She and I began looking for packaging, and we found the cutest favor boxes from Box and Wrap! These boxes fit a single truffle, and the boxes come in all colors. Favors Done! I make truffles all the time with nutella it’s so good!! I always recommend that people do a series of test runs before using a recipe for a big event such as a wedding. Yes, they are definitely hard enough to store in boxes, but you will definitely want to store them within the refrigerator until you are ready to serve them. They will get melty if they get too warm. Hope this helps. These look awesome! Do you think if I used 2% milk instead of cream it would still work? Thanks for your comment! Heavy cream has a very different structure to any kind of regular milk, even whole milk. I would not substitute it here, your truffles will never solidify. Colette, they’ll keep for about a week. I don’t really want to add liquor. What can I do if I want to make blueberry or coconut flavoured truffles? Carolina, you can use extract in those flavors in place of alcohol. How long will these last? Also can they be covered in chocolate? Nicola, these will last for up to a week in the refrigerator, and yes, you can cover them in chocolate. Sooooo…making a bunch of these for christmas but I want to booze em up! In your directions it says add the alcohol when they are cooler…so put in fridge, take out, add alcohol & then back in fridge until ready? Also with cheaper chocolate does it just affect taste or will it affect how it sets up too? I bought some white choc bark for example to make some of these white chocolate in addition to the original choc ones. Will that work? Last…do you have any fun flavors ideas that youve tried? Im thinking ill do white choc Rasberry, Choc with sea salt & caramel, Lemon & powdered sugar & I have some Peanut Butter flavored vodka so IM thinking choc peanut butter would be tasty too. Ashley, that method sounds perfect to me. The quality of chocolate will always affect the outcome, but I think you can use white chocolate bark just fine. I’ve never seen peanut butter flavored vodka, that sounds amazing! Just want to point out that if one is properly using their double boiler, you never have to worry about the temperatures getting high enough that you have to worry about the alcohol evaporating. The melting point of chocolate is usually between 86 and 90 °F, The melting point of butter is 82.4 – 96.8 °F. You really shouldn’t be getting above 100°F while working with the chocolate. To contrast this Ethanol boils at 173.3°F, WAY above the temperatures you should be working in. So no need to let it cool if you are doing everything else properly. Ooh I am looking forward to making a batch of these with Frangelico added in – my absolute favourite!! I hope you enjoy them, Lisa! Thanks for stopping by! Hi, Lisa! I think coconut milk might work. Let me know how it goes! Hi, I have only tried to make truffles today, and I used another recipe as I hadn’t spotted yours, but the ganache is still soft after refrigerating, so when I try to cover them in chocolate, they start to go even gooier and are almost impossible to mould and cover. Any ideas would be gratefully accepted . Hi, Lynne! I don’t know what to say about the other recipe–maybe refrigerate the ganache longer? I hope this helps! Can I use Semisweet Chocolate chips instead of the bars? You can use high quality chips, but I definitely recommend bars over chips. I hope this helps. Still an error in the directions. Alcohol infusion in the list of ingredients refers us to step #3. It is step #5. Thank you, Sue! Error fixed. Have you ever tried to freeze these. I have to make 25 dozen and was thinking of making in advance and freezing. Hi, Connie! I think you can freeze these, but you have to make sure they’re tightly wrapped and place in an airtight container. Sometimes the truffles can discolor if they’re frozen, but if they’re wrapped, you should be okay. Good luck! Hi, Robbin! Two to three hours should be enough time to make the truffles. How did everything turn out? Please let me know; I’m here to help! Mine turned out too soft. Any ideas? Hi, Theresa. Maybe refrigerate them a bit longer? Let me know if that helps. How many truffles does your recipe make? Want to make some for Christmas! This recipe makes about 30 truffles! I hope this helps! Happy Holidays to you and yours! One of the very first things I learned to make as an adult was truffles. Little did I know…I’d be devouring a lifetime supply over the next ten years – ha! I’m going to try using liqueur next time! Oh my goodness! These truffles look so delicious and chocolatey! Hello! I just use regular heavy cream. Hope this helps! Happy baking.